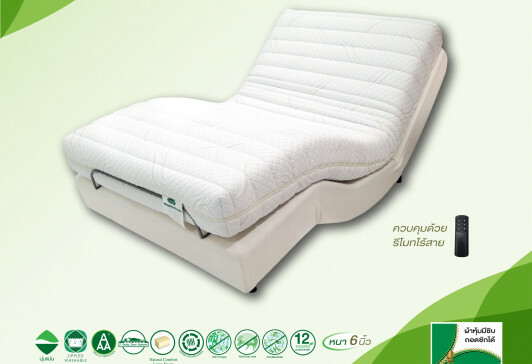 power outages.Mattress is made from natural latex foam 7 Body Zone Mattress specially supports and balances the 7 body parts with different weights and pressures.Various body part will be proportionally supported to eliminate back and shoulder pain problem. Ventry Inter Flex 7 Body Zone Mattress is Luxuriously cover by knitted fabric for a silky feel comfort.With zipper can be washed. USB charger is included.